Could banks be the saving grace of Singapore's rattled equities market? The Big 3 have posted a healthy set of results in Q2 despite bleak market conditions. Reports of the Trump administration eyeing higher 25% tariff on US$200b on Chinese imports after a relatively quiet July is once again putting the Asian equities market on edge and Singapore is no exception as it has to grapple with a seasonal slump to add to its burden. Also read: What's dragging SGX's lacklustre equities business? In fact, the STI may have already reached its peak this year after hitting 3614 in May, according to a report by DBS Equity Research, adding that the only way onward is down to a lower year-end target of 3550. An all-out trade war where all goods between China and US would be subject to 15-25% tariffs could lower Singapore’s 2018 GDP by 0.8% to 2.2% and hit 2019 GDP by 1.5% to 1.2%, warned DBS. The bleak situation is further aggravated by steeper interest rates and extensive cooling measures dampening growth in Singapore’s real estate market. As if things couldn’t get any worse, the local stock market has always ended lower on August over the past 10 years with a median decline of 2.1% and average drop of 4.2%, according to DBS. And the negative trend is likely to gain further momentum this month amidst heightened downward pressure testing the strength of the local equities market. “Short of a clear resolution to the US-China trade war, the trend for a ‘negative August’ month is expected to continue this year, given trade war uncertainties, weak domestic driver post property measures, and a lack of positive catalysts. For the STI, we expect July’s rebound to be capped at 3340-3355 with downside risk to test 3220 this month,” said DBS analyst Kee Yeo. Investors are also awaiting clearer indications on the growth prospects of companies and for trade war jitters to clear up before taking a more aggressive stance despite posting higher cash levels in post-May/June sell down. "Most agree with our base case scenario on trade war tensions and looking to bargain hunt during the 2Q reporting season, which have been disappointing thus far," added Yeo. The turnover velocity of Singapore Exchange which measures the total traded value relative to average market cap, has also been trending downwards in line with the slumping trend plaguing other regional exchanges in the past 10 years. Overall turnover velocity has crashed from 49% in 2011 to a mere 27-29% between 2014-2017, according to an earlier report by Maybank Kim Eng. "The decline in velocity can be attributed to lower traded value from lower market activities, coupled with a lack of substantial growth in market capitalisation," Maybank Kim Eng added. However, there have been some outperformers who eked out gains despite the lacklustre market environment. Singtel lifted the telecom sector whilst Thai Bev's rebound raised the consumer goods sector, DBS noted. 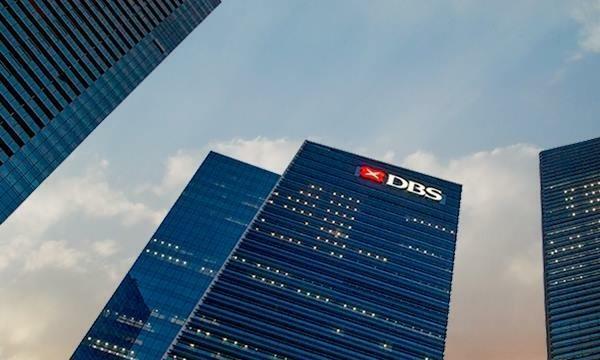 Banks may also be back in the investor radar after pulling off a decent set of Q2 results with DBS leading the pack with profits of $1.37b despite missing market estimates. Similarly, OCBC’s profit hit $1.21b in Q2 on the back of higher loan volumes whilst UOB earnings hit $1.08b. "This set of results should put the banks back in focus, the shares were pressurised by the government’s recent cooling measures on residential properties. We prefer banks to property sector," added Yeo. Consumer goods and services stocks like Sheng Siong, SIA Engineering, ComfortDelGro, SATS and ST Engineering are alsto amongst Yeo's preferred picks amidst their stable net cash position and consistent level of dividend payouts. 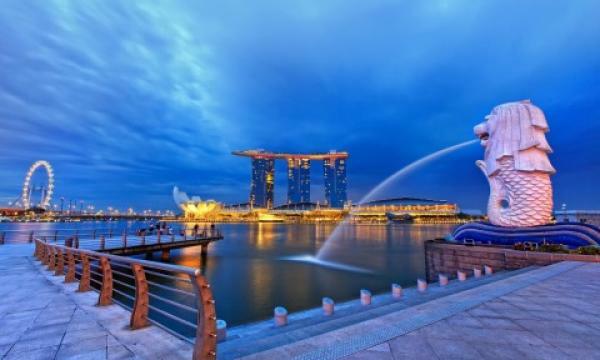 Financial stocks are well set to lead Singapore's equities market, according to an earlier report by Credit Suisse who has hailed Singapore as the 'place to be' for equities investors alongside China and South Korea. “Singapore banks corrected by 6% in May, driven by the decline in the US 10-year Treasury yield from a high of 3.12% to 2.93%; this provides an attractive entry opportunity. The fundamental outlook remains robust given the strong credit growth environment, improving asset quality and margin expansion, leading to ROE uplift,” the firm said. Singapore equities are also amongst Asian equities that have already been showing early signs of that resilience in the recent months to a stronger USD and rising bond yields. “We expect the USD to weaken in the coming months. If this comes to pass, it could trigger a rally in Asian equities as investor positioning is currently very light in the wake of the rather large US$17b outflows year-to-date,” Credit Suisse senior investment strategist Eddy Loh said in a statement. "In the same vein, Singapore is the ‘place to be’ for equity investors as the market offers a blend of cyclical exposure, is a beneficiary of higher interest rates and trades at an attractive valuation,” he added.